This is my spice rack. It is a seltzer bottle holder tipped over onto its side. I really like it, and I've been trying to sort out to get all the same bottles to fit inside. The silver capped ones come from Whole Foods, and while I like it, it looks very.... something. Like something lots of other people might have. And while I think mass-produced items are awesome, I didn't want them for my spice jars. 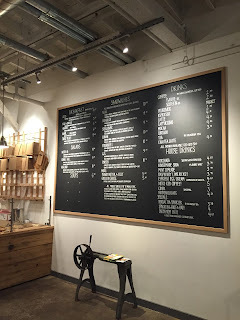 Oh and also I could not afford 40 jars at the Whole Foods price. $80. Gulp! So I bought a whole bunch (40) plain glass jars with white caps at China Fair and personalized them. They're the ones in the right hand compartments. They were .69 cents each. Not too bad. 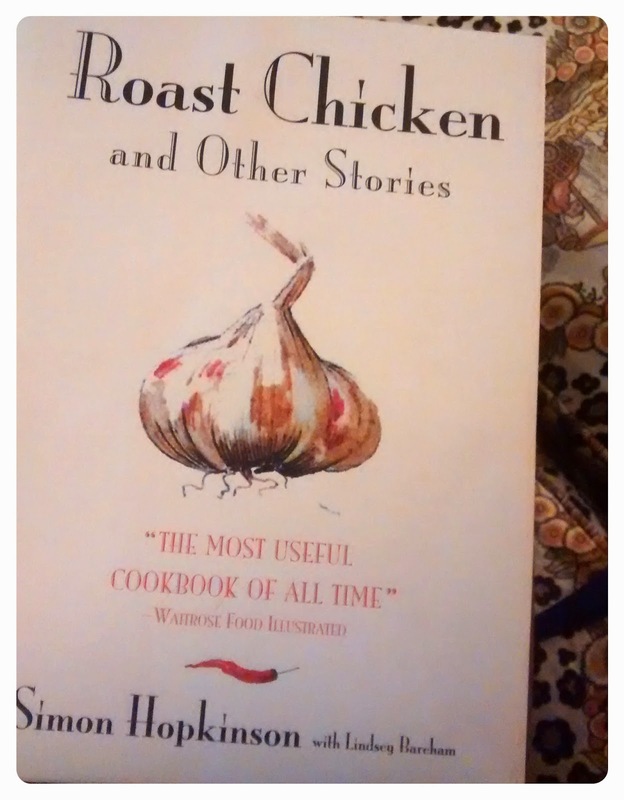 I took an old cookbook and cut out the index pages (because I can't actually defile the cookbook part). 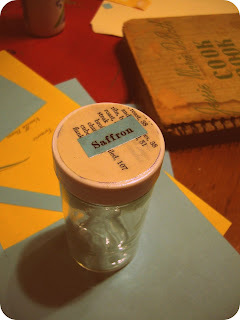 Then I made a few pages of spice labels on pretty blue paper (blue is always fashionable!) 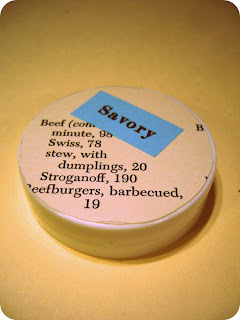 and pasted a round cut from the index to the jar lid. 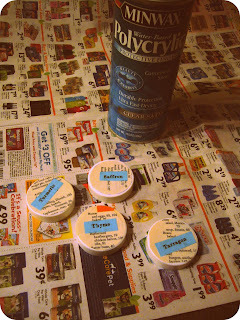 Then I affixed the spice name and sprayed the whole gamilla with polycrylic. I LOVE polycrylic in satin finish, I might need to have that taken away from me before things get out of hand. As soon as I get all the tops done and fitted into the rack I will post another picture. But from right now I am pretty pleased with how they are turning out. Such a great idea - I love them! 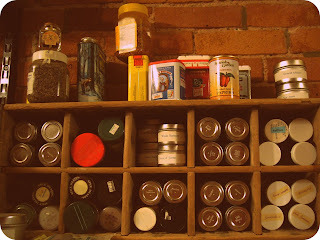 As of these days, its really hard to choose spice racks in the market. The availability of so many options help you think the best and compatible to your kitchen area. Piece of advice, make sure all the necessary spices are kept closed and away from the oven. I also like this kind of spice rack.